Bonifacio High Street is a favorite weekend fun spot for many residents of Metro Manila. Here we can find so many things that could cater to our whims. Spas, shops, parks, restaurants, cafes, dessert stores, kiosks, and many more. 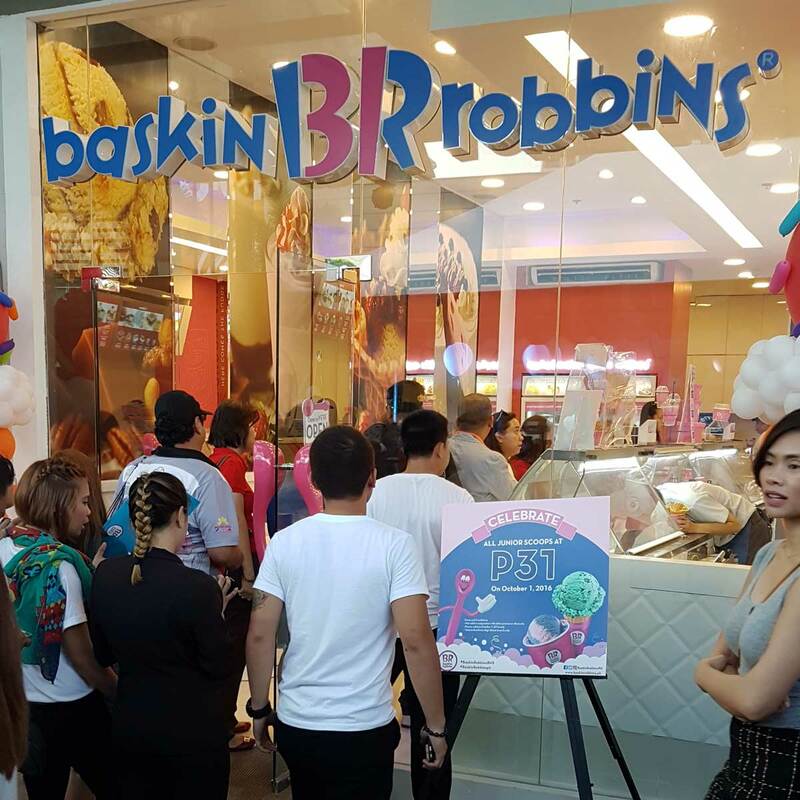 Baskin-Robbins, the world’s most beloved ice cream brand, spreads more happiness as it opens its 14th branch at B8, Bonifacio High Street, Taguig, delighting ice cream lovers around the metro. 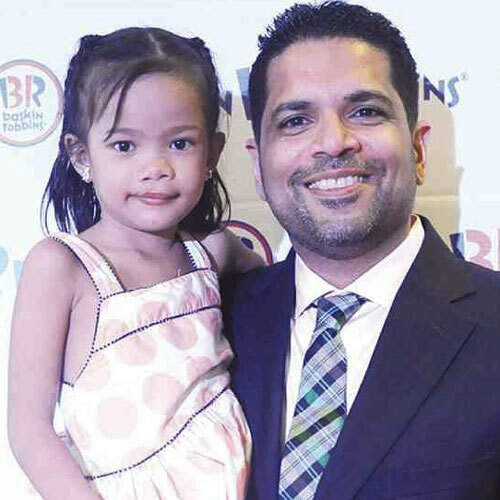 President of IceDream Inc., exclusive licensee of Baskin-Robbins in the Philippines. 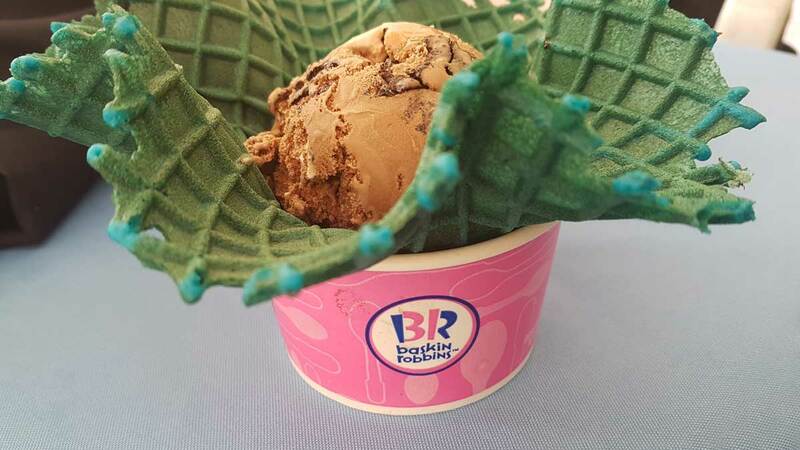 To make the store opening more fun and memorable, Baskin-Robbins lined up a series of delicious treats for its guests and customers, including a special one time offer of their awesome range of ice cream flavors for just P31 all day on October 1. Apart from the sweet treats, guests enjoyed many freebies and various activities including a lively performance by the UP Dance Company, a friendly meet-and-greet with the Baskin-Robbins mascot, photo printing, face painting, a special booth called ‘Waffle Wonderland’ where guests could customize their waffles in various shapes and colors and ‘Fundae Sundae’ a booth designed for pure indulgence. I felt some school loyalty so I opted for the green waffle cup. Animo La Salle! 😀 Cone or cup the choice is yours! For my ice cream flavor I chose Baskin-Robbins Double Chocolate. Yum! The fundae sundae is definitely a lot of fun … to watch them assemble and later, to eat. They take a cup and half fill it with toppings. I chose crumbled Oreos. Then they ask you for the flavor you want – here I chose Love Potion Dark. Then they take a sugar cone and push it down on the ice cream. Push the cone down a bit so that the ice cream picks up some toppings. The brand’s delicious and mouth-watering ice cream cakes also attract dessert enthusiasts worldwide. Each delectable cake is made up of one’s choice of Baskin-Robbins ice cream flavors. Available in a wide variety of designs and sizes, they are perfect to celebrate any occasion — birthdays, anniversaries, holidays, weddings, and graduations or just to satisfy ice cream cravings! SM Dasmariñas in Cavite and Solenad in Sta Rosa, Laguna.